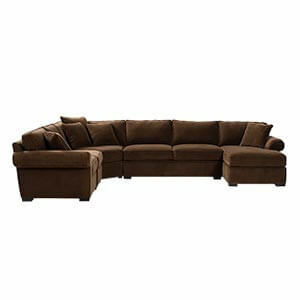 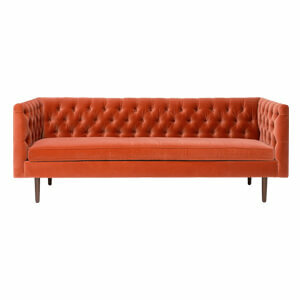 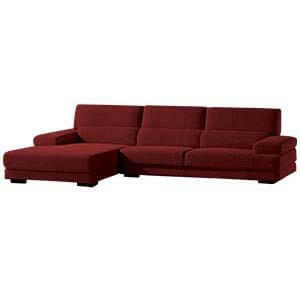 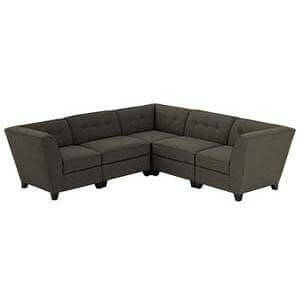 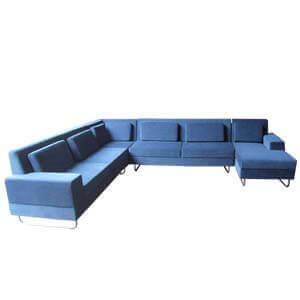 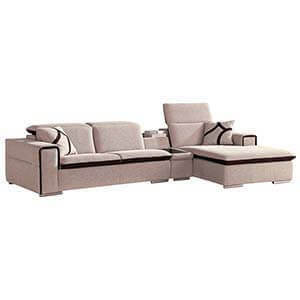 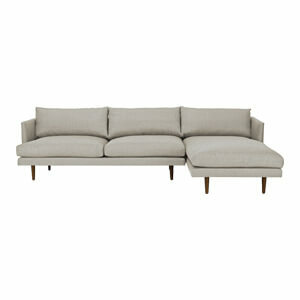 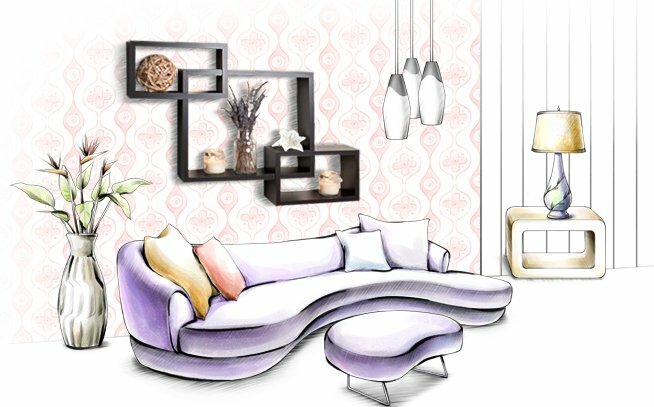 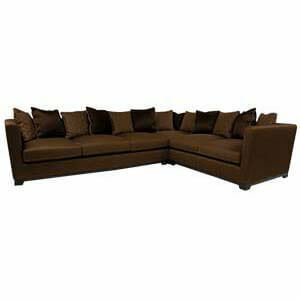 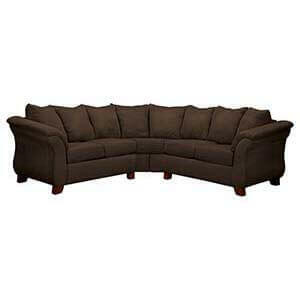 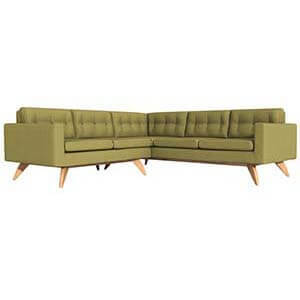 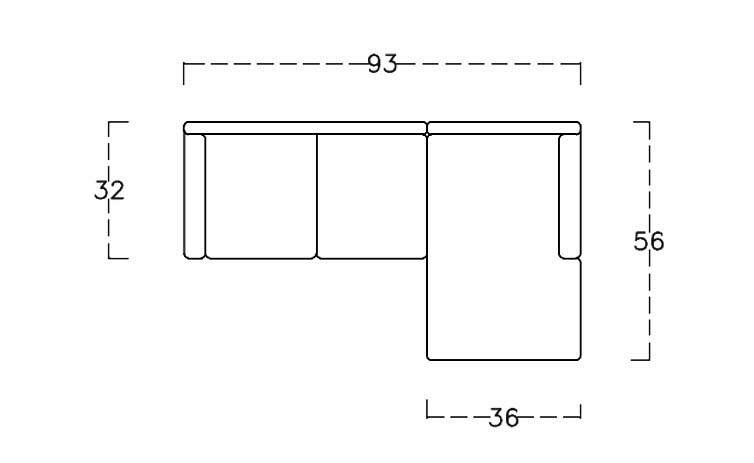 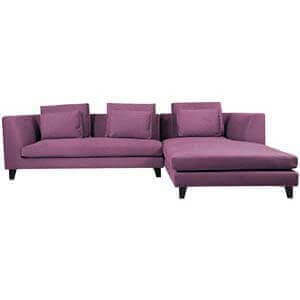 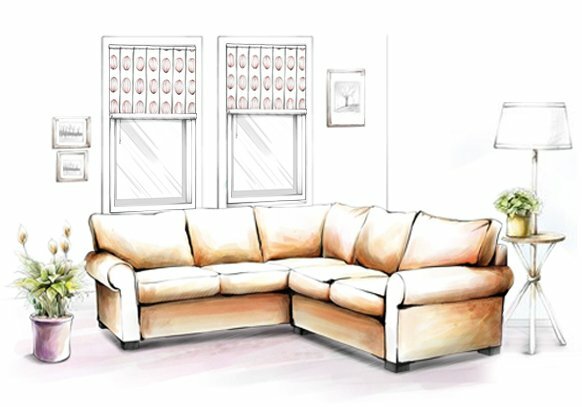 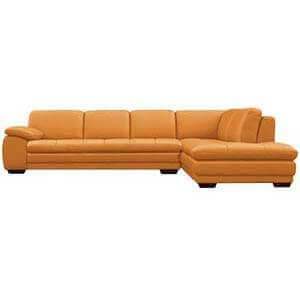 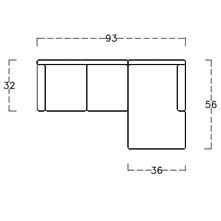 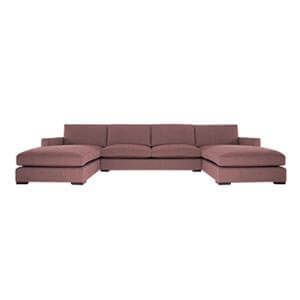 Elegant, this handmade two piece L shaped sectional sofa unit is an instant guest attraction. 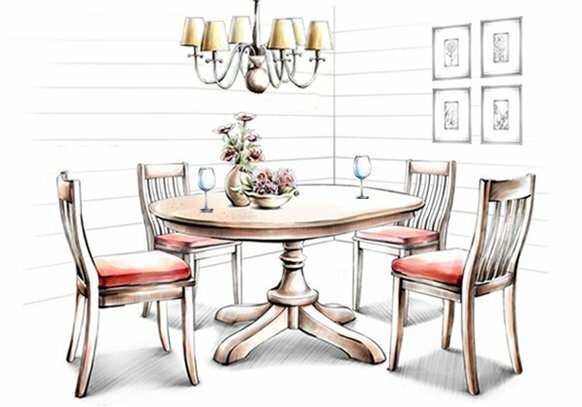 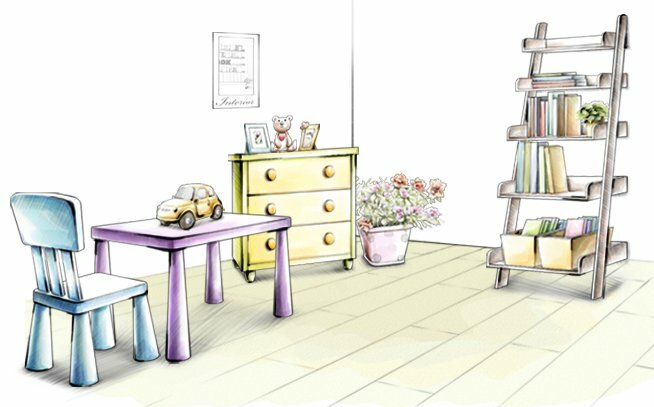 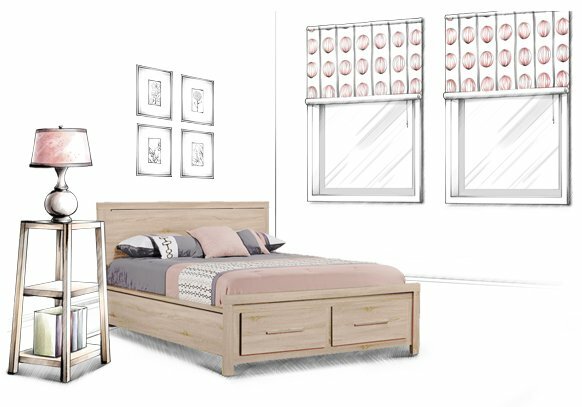 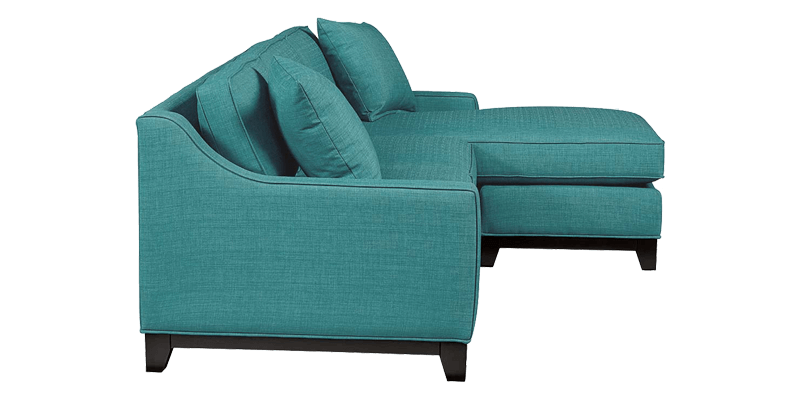 Handmade, it features an ottoman and a sofa having subtly curved arms, loose down cushions with piping details and short angular legs. 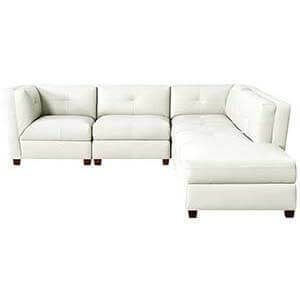 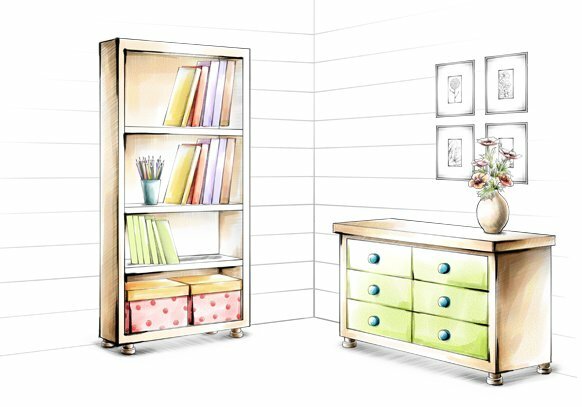 It has a sharp silhouette with clean clines that give it a polished look. 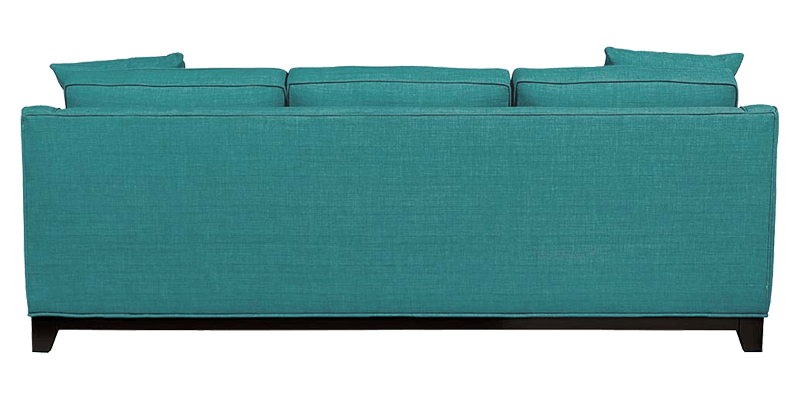 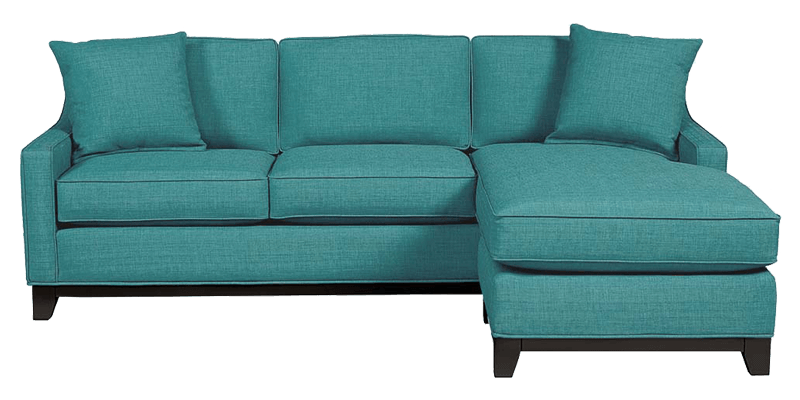 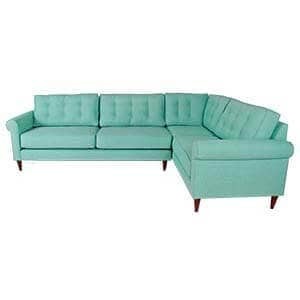 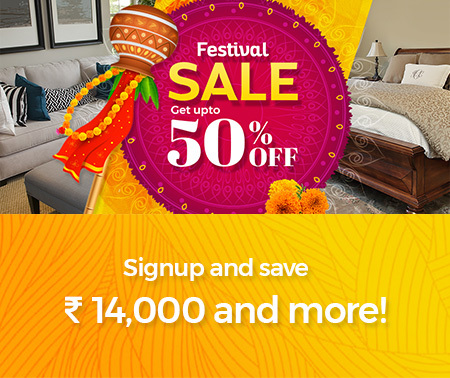 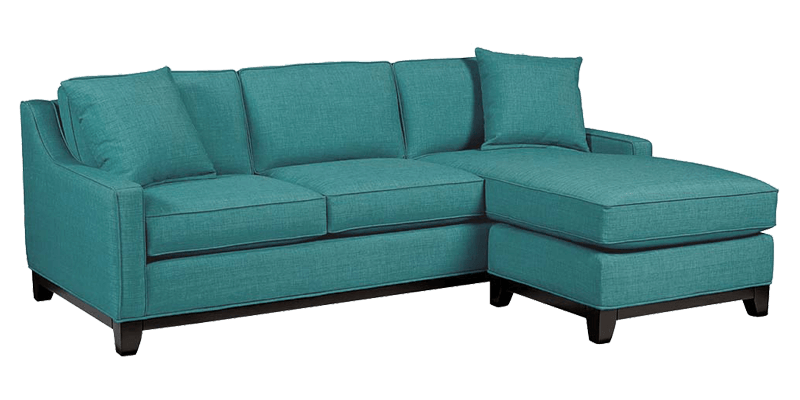 This teal colour three seater sectional sofa set provides a comfortable seating experience.